Keeping your grinding wheel true and unclogged is critical for sharpening your tools. 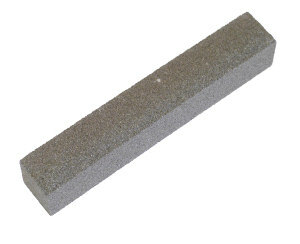 This silicon carbide stick is an economical way to keep aluminum oxide wheels true and ready for sharpening. 46 Grit. Measure 6" x 1" x 1" in size. Made by Norton Abrasives.